international gluten-free standard of 20 parts per million (ppm) for food and beverages. (The international gluten-free standard was set forth by the Codex Alimentarius Commission, which was created in 1963 by the Food and Agriculture Organization of the United Nations and the World Health Organization.) 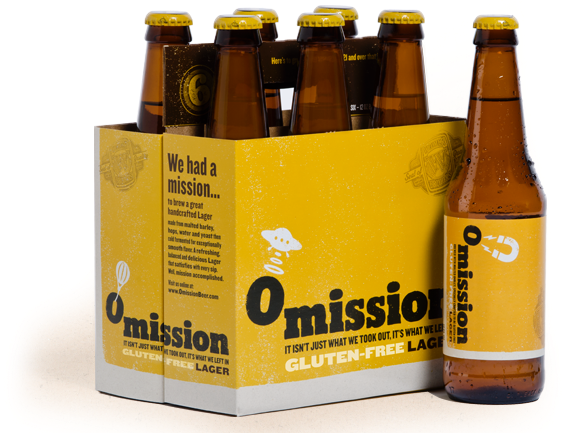 Omission Beer is expected to release the first beers in its portfolio, which will be available only in Oregon, on April 2. I have just reviewed the lager below, and will be reviewing the 5.8% ABV Pale Ale soon. I don't see a Widmer logo on the packaging or bottle. Is this a new brand segment outside Widmer, Kona and Redhook? 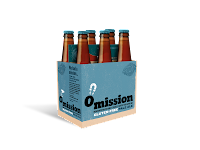 There actually is a rather muted image on the packaging and labels, as well as stating 'Widmer Brothers Brewing'. But indeed it seems as though they are marketing it as an off-brand, or separate brand.